The Disciplinary and Penalties Committee in the ongoing Third King Abdulaziz Camel Festival disclosed that it has identified two people, a Kuwaiti and an Emirati, violating the regulations during their participation in the competitions on Friday. The two cheats were uncovered by the medical committees for using botox injections, which are banned by the Camels Club rules. 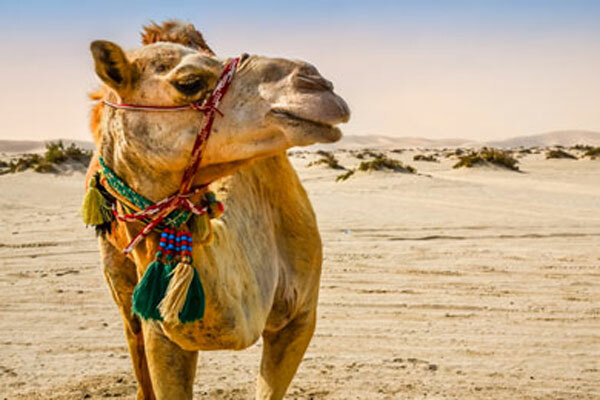 The Camel Festival is ongoing at a location some 140 km northeast of Riyadh. The committee identified the cheats as Muhammad Bin Faleh Bin Shaleh Al-Ajmi, a Kuwaiti, and Muhammad Bin Khalfan Al-Mazroui, a UAE national. The Disciplinary and Penalties Committee stressed that it has issued a decision to bar the two immediately from participating in all rounds of the 3rd Camel Festival. The committee has also deprived the two violators from taking part in the next three editions of the King Abdulaziz Camel Festival. The committee said it received reports from the medical committees, heard the two violators’ statements and issued the penalties, in line with the Violations and Penalties Regulations approved by the Camels Club. Accordingly, they were charged for cheating and tampering. The regulations incriminate the use of filler and botox injections, or the like. The committee stressed that the sophisticated equipment used by the Club enabled the committee to uncover the cheating and tampering.